About three decades ago, a daycare had asked parents to make pillows that could support babies when they were not being held, owing to a lack of staff. Obliging to the request, Susan Brown, a mother and inventor, designed the original Boppy Pillow: a round-shaped pillow that resulted in a nursing pillow that could lift babies to a more ergonomic position while feeding. Susan founded Camp Kazoo in the year 1989 and started shipping Boppy® Pillows out to customers the same year—Camp Kazoo later became The Boppy Company in 2001. Nancy Bartley, CEO of The Boppy Company, reveals that the reason for the global recognition of their novel product line stems from the dire necessities of every new mother. Since their humble beginnings, news of the novelty behind the company’s offerings—primarily the Boppy Pillow—spread quickly by word of mouth from “one mother to another”. Nancy narrates the story of one such mother, Frances M from Puyallup, WA, who almost lost the chance to breastfeed her baby girl as the newborn had to be introduced to the formula right after birth. Getting the infant to latch was next to impossible until she began using the Boppy Pillow. During their postpartum days, countless lactating mothers face the same plight that Frances had to go through. And the Boppy Pillow continues to save the day for mothers across the world. The benefits of breastfeeding traverse beyond providing health and nutrition to newborns. It is a long known fact—across cultures and geographies—that the closeness, overwhelming sense of love, and intimacy of breastfeeding profoundly strengthen the maternal bond. And breastfed babies are less likely to contract allergies, infections, or diseases. As mother’s milk contains antibodies that can fight infections and disease-causing bacteria, it lowers the baby’s risk of any undesirable health conditions including sudden infant death syndrome. With the success of the Boppy Feeding and Infant Support Pillow, The Boppy Company decided to venture into healthcare products. It developed the Boppy® HC Pillow, a C-shaped, high-quality nursing pillow that improves a mother’s positioning to make breastfeeding more comfortable and helps a baby latch on. It is made of impermeable fabric and can be neatly enclosed within a Boppy Disposable Slipcover for ease of cleaning. To meet the breastfeeding rates recommended by the World Health Organization (WHO), hospitals and other healthcare organizations strive to popularize and educate parents about the importance of following best practices while nursing their baby. Helping mothers initiate breastfeeding within half an hour of birth is essential for a healthy postpartum period. Along with mothers, Boppy HC Pillows also aid healthcare professionals. Nurses, on an average, spend 17 minutes to prop mothers with bed pillows for breastfeeding purposes. Boppy HC Pillows eliminate this tedious process. Once a mother learns to feed her baby using the Boppy HC Pillow, it cuts down repeat visits to the patient’s room and allows nurses to be more efficient with the rest of their roles within a hospital. As a result, hospitals can provide higher patient satisfaction and improve long-term cost savings. The Boppy Company’s products are developed to support infant care. “Each Boppy product is created with passion, precision, and pride,” states Nancy. 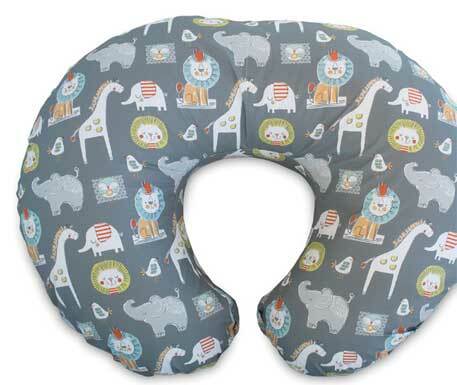 Pediatricians recommend The Boppy Pillow for babies between the age group of 0 to 12 months. Designed for babies when they are awake, the pillow serves as a perfect spot for playing and sitting. The company offers the pillow dressed in a cotton classic slipcover, both of which are machine washable. The value proposition of the Boppy Pillow extends well into the baby’s tummy time phase, which is just as important as all other stages in the development of an infant. The wiggles and attempts of half-lifts gradually progress to rolling over, sitting upright, and crawling. The Boppy nursing pillow gives the baby comfortable tummy time and helps in his/her overall physical development. Sourcing the raw materials from socially responsible facilities for transforming into products that support both child and mother, The Boppy Company sets an exemplary model of healthcare delivery. Their product lines now include nursing pillows and slipcovers, nursing covers, newborn loungers, baby carriers, pregnancy pillows, teething scarves, and travel accessories. The Boppy® Newborn Lounger is a pillow designed with a recessed interior to hold a baby comfortably and securely. Recently, the company released the Boppy®ComfyFit® Baby Carrier, which is made of soft fabric with spandex. It offers comfort levels similar to yoga apparel and contains a structured seat for securing the baby. Further, pregnant mothers also feel relieved while using the range of Boppy® Prenatal Pillows designed to provide support when they feel discomfort while sleeping. “Our first product that we launched was a huge success globally, and now we are in the process of developing new products that would support patients recuperating from spine, hip, and knee surgeries,” states the CEO. "Encouraged by happy moms, dads, and babies, we expanded our family of products to include travel accessories as well as prenatal and postnatal support"
For Nancy, The Boppy Company is not just a business but a space for social reformation. This is evident from a campaign they ran in the recent past. The company launched an internet campaign #NeverNotAMom aimed at empowering parents—a call to unite and celebrate the value of motherhood. The campaign challenged the stereotypical notion that being a mother requires women to keep their “mom life” at home and leave their professional life at the front door. “But life doesn’t work that way, as being a parent is a part of our identity,” asserts Nancy. Evidently, The Boppy Company strives to realize its mission statement, “Support for All Momkind®” at multiple levels. The company continues to build new partnerships with large healthcare distributors, to successfully roll out its products to doctors and other major stakeholders in the space. “We envision a better world for all Momkind,” Nancy concludes.